Sarah Shields's career in channel started 23 years ago. 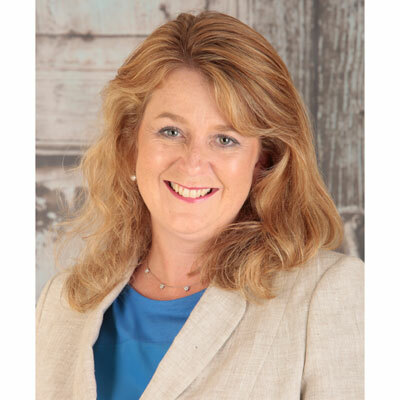 She has progressed through the ranks to hold one of the largest channel roles in the UK/Ireland as channel vice president for Dell EMC. Sarah has continuously delivered business growth, created new opportunities and driven job creation for top channel brands including AMD, Acer, Gateway and Dell EMC. As one of the founders of Dell's retail business, Sarah remains dedicated to the channel and has seen Dell EMC's business grow to over 40% of Dell EMC's UK/Ireland revenue. Additionally, Sarah is a keen advocate of women in IT and has been recognized on the CRN Top 50 Women in IT list and was voted PC Retail's Woman of the Year in 2015. Sarah supports a number of initiatives to encourage women in IT, which includes mentoring and coaching women across the channel, working with schools developing robust STEM programs for girls, mentoring female entrepreneurs in tech, and spearheading multiple female-focused channel activities. Outside of Dell EMC, Sarah is a school governor, a member of the UK Council for Child Internet Safety and online blogger. Sarah has led Dell EMC's brand-new partner program through its first year, delivering growth and increasing profitability for more partners than ever before. She facilitated the retraining of the entire Dell EMC team and its partners to understand and evangelize the power of Dell EMC technologies and the reality of digital transformation. In the past year, she met with over 500 partners across the UK and Ireland, listening to their strategies and requests, helping deliver solutions that assist their teams to sell. Dell EMC has developed relationships with partners and delivered training and sales solutions that have led them to hit their goals. In addition, Sarah personally engaged in multiple events to evangelize about diversity and inclusion in the channel, including sponsorship of the UK's first Women of the Channel event in late 2017. Dell EMC's goal is simple: be the vendor of choice for its partners. The company wants to deliver a partner program that is simple, predictable and profitable and ensure it is doing everything it can to help its partners win more business and to grow their customer base and profitability. Dell EMC will ensure that all our partners have access to the best technology, service and support the company can offer and it will lead the way in digital transformation. Sarah's Dell EMC team won various awards from partners. They also received a nod at the CRN awards. The team won a Partner of the Year award from Insight, presented by Emma De Souza and Gary Neville. The team was also recognized as a Partner of the Year by Misco and Vendor of the Year by BT Business Direct. Sarah was also recognized on the 2017 Women of the Channel list. Internally, Sarah was awarded the coveted RockStar award for her leadership and received one of the highest scores in the company from Dell EMC's annual employee survey. Rather than one woman, I admire multiple women who act selflessly. These are women that put the needs of others ahead of their own and work diligently for the greater good. In particular, I admire the unsung heroes who look after the elderly, the disabled and who constantly advocate for the rights of others. My ambition is to master more languages and to be able to flip between languages in a heartbeat. I met so many people who speak English as a second language and it always blows me away. I would love to learn Chinese this year, which would help me in my conversations with the factory and my colleagues in greater China. OK, this is going to sound bad, but the best book I have read this year is "The Subtle Art of Not Giving a F*ck" by Mark Manson. Despite the profanity, it is about not sweating the small stuff and becoming far stronger. If you know your limitations, you can accept them, deal with them and focus on the things that really matter. I loved it!